On February 11th Japan celebrates National Foundation Day, commemorating the creation of the country of Japan and the ascension of the largely mythical Emperor Jimmu to the throne as the very first Emperor. Emperor Jimmu's reign is traditionally considered to have begun in 660 BC, and it’s said he was led to the Yamato province from Kumano by a divine three-legged crow, yatagarasu. Of the deities worshiped at the Kamo Shrines there is Kamo Taketsunumi no Mikoto (the founder of the Kamo clan), his daughter Kamo Tamayori-hime (first priestess of the Kamo Shrines), and the divinity in charge of natural forces (particularly thunder) Wakeikazuchi no Mikoto, Tamayori-hime's child. 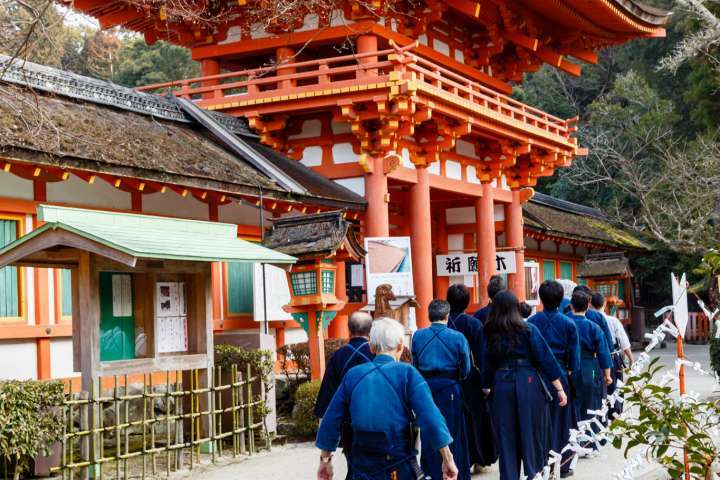 The yatagarasu is said to be related to the Kamo clan, and the Kamigamo Shrine, whose history as a place of worship is said to exceed two thousand years, now hosts the Kigen-sai ritual annually because of this connection. 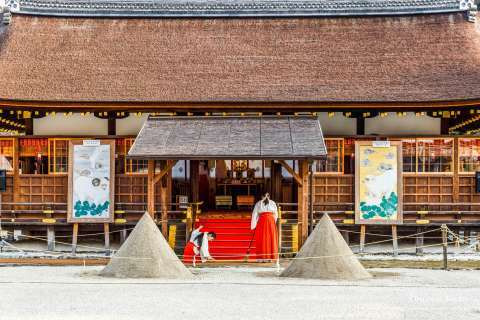 Kamigamo Shrine's Kigen-sai is host to several sports-themed offerings, starting from 9:00 a.m. with a kendō demonstration performed before the Hosodono Hall and its distinctive tatesuna cones made of sand. 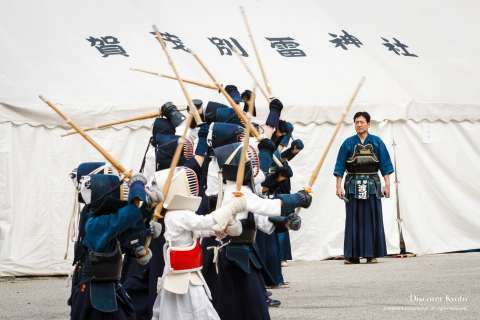 Priests and athletes assemble before a flagpole on the precincts for a rendition of the national anthem, Kimi ga Yo, and a raising of the country's flag. After that, a karate offering is performed while the priests conduct a ritual to pray for the peace of the country. The finale of the day's ritual is a game of kemari, a ball sport once played by Heian period nobles and recreated in painstaking detail. 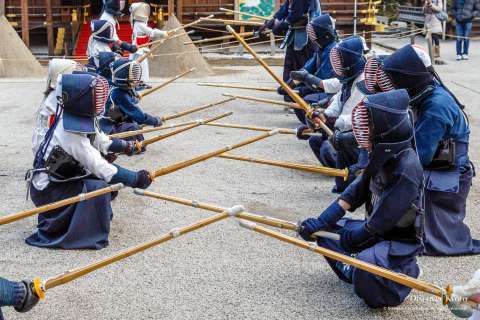 For those interested in martial arts, the historical and rare treat of a kemari game, or the patriotic Kigen-sai rituals, take yourselves to Kamigamo Shrine on February 11th. 10:00 Raising of the Flag, National Anthem "Kimi ga Yo"